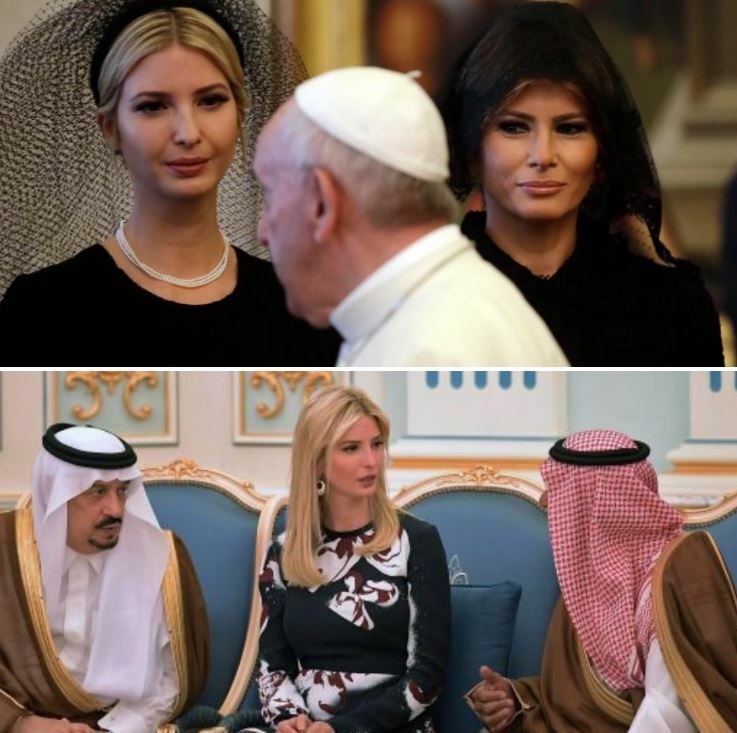 Many news sources have commented on the fact that (as evidenced in the above photo), while in Saudi Arabia, Melania Trump, the First Lady, and her step-daughter, Ivanka, did not cover their heads (as is customary for women there) while in Vatican City, when visiting with the Pope, they did. Not often does the world present such nicely paired examples for the scholar to study comparatively. There’s a long history in a variety of groups, of course, of covering ones head as an indicator of social status (aka humility) — though insiders would surely describe this rather differently, perhaps making reference to a sign of piety. 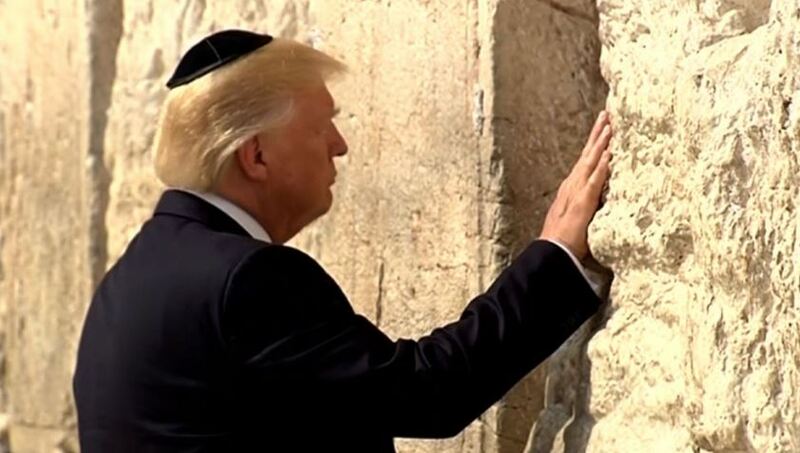 And, like many guests to such social worlds, President Trump himself, when visiting the Western Wall in Jerusalem, wore a yarmulke. But the case of Melania and Ivanka seems to me to be well suited to either an MA thesis or even an undergraduate research project: to use the choice to, or not to, when seen in light of the setting of each choice, as the way into a much larger and rather interesting topic of gender relations, international relations, and perceptions back home. Important to note is that, unlike some news sources, for the scholar such an investigation is not a game of “gotcha”, as in when people now cite a January 2015 tweet from the now President, criticizing the former First Lady for not covering her head while on a state visit to Saudi Arabia. Instead, studying the choice — a category that allows scholars to entertain intentions of the social actors whom they study — made within these two structured settings — each of which has its own history and current relationship with the US — would enable a student to enter a complicated topic but in a nicely controlled manner. Why do people in these social worlds say women ought to cover their heads? Is there disagreement in those worlds, among their own members, as to this practice? What might have prompted these two different decisions by the visitors? What is implied in being a visitor to another person’s social world? What might be the short or long term effects of the decisions? How did the media and the political class react at the time? And is there any evidence of how people “on the ground” in each locale, let alone voters back in the US, responded? Such a project, I’d wager, would quickly make plain that, much as in the Muslim head covering debate that has played out in France (among other European countries), it’s not really about the veils. This entry was posted in Faculty Blog, Relevance of Humanities, Religion in Culture and tagged France, Germany, Head Covering, Humility, Israel, Italy, Saudi Arabia, Social Status, Thesis, Undergraduate Research, Women by Russell McCutcheon. Bookmark the permalink.